Overlooking the Pacific Ocean and only five minutes from Santa Barbara is Hope Ranch, a world renowned upscale residential community known for its luxurious estates set amid a natural lake environment with acres of wooded bridle paths, oak-covered hills, scenic landscaping, and beautiful private beach. It is now a community of approximately 773 residential properties encompassing 1,863 acres. Hope Ranch feels decidedly more Mediterranean than ranch-like as you enter the gates and see the palm-lined streets and elegant estates. The magnificent date palms along Marina and Las Palmas Drives are over 80 years old and tower as high as 60 feet. Hope Ranch is named for Thomas Hope, an Irish immigrant who worked for a time as a Texas cowboy. Eventually Hope moved to Southern California and acquired the two former Mexican land grants totally over 6,000 acres that bear his name today. The property eventually came under the ownership of The Pacific Improvement Company which decided to hire real estate agent Harold Chase and promoted the area as a suburb for upper-income residents. It wasn't until Harold Chase purchased the land in 1923 that any significant development actually took place. Mr. Chase proceeded with the installation of roads, utilities and bridle trails and laid the groundwork for the creation of a residential community, putting his stamp on the modern Hope Ranch for the next 80 years. Many of the grand estates here began to spring up around 1925 and were designed by the leading architects of the turn of the century, including Reginald Johnson, Peter Barber, and George Washington Smith, rivaling even the best Montecito homes. The largest of the early estates was "Florestal," built by Peter Cooper Bryce. An innovated idea for the times was to bring utilities underground at most locations to ensure that the natural beauty of the area remained unencumbered by unsightly power lines. Hope Ranch has long been known for its recreational amenities including Hope Ranch's private beach, landscaped Laguna Blanca lagoon, and community tennis courts. For horseback riders, there are over 20 miles of riding trails which connect to the beach. Because of the local interest in horsemanship here, there is a strong Riding Trails Association in the Hope Ranch area. 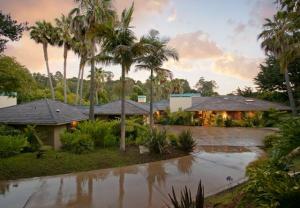 Hope Ranch is also home to the exclusive La Cumbre Country Club and Laguna Blanca School, a highly rated private school. Other community associations include the Hope Ranch Patrol, the Hope Ranch Garden Club, and the Hope Ranch Park Homeowners Association. Hope Ranch Homeowners Association, established in 1924, keeps watch over all matters of self-government such as architectural standards, fire protection, the private security patrol, zoning (no commercial use), roads maintenance; and in conjunction with La Cumbre Mutual Water Company maintains the water system. Voting in the association is based on the number of acres owned. Visit their website at: www.hoperanch.org. 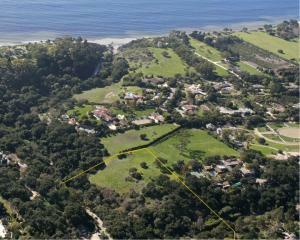 Guarding their privacy and autonomy, homeowners consistently reject annexation to the City of Santa Barbara. 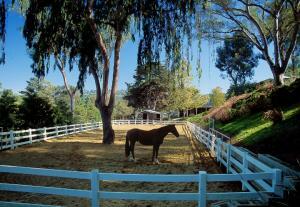 Hope Ranch maintains its independent spirit as well as its lofty standard of suburban living. View the very best Hope Ranch real estate currently available at HarryKolb.com.